Why Doesn’t NAR Lobby Against Standard Time? We got an extra hour of sleep last night (in theory) as we left Daylight Savings Time. I came across this post yesterday that got me thinking (more like chuckling), why doesn’t the National Association of Realtors rally public support for shifting the US from using Standard Time to go all Daylight Savings Time in order to promote more housing activity? Afterall, who wants to get up early and view a purchase or rental property and isn’t housing significant part of the economy? Daylight in early hours benefits farming while daylight in later hours benefits housing activity. Agriculture is about 1% of GDP and housing is 17% to 18% of GDP. As modern societies operate on the basis of “standard time” rather than solar time, most people’s schedules are not governed by the movements of the earth in relation to the sun. For example, work, school and transport schedules will generally begin at exactly the same time at all times of the year regardless of the position of the sun…if “standard time” is applied year round, a significant portion of the longer sunlight hours will fall in the early morning while there may still be a significant period of darkness in the evening. Admittedly this idea is way out there, and NAR would be unlikely to lobby this point anytime soon because they would look foolish. I guess I just don’t like it getting dark at 5pm and I don’t even sell real estate. Ok, I was watching the New York Giants actually beating the New England Patriots last night. I felt a glimmer of hope for humanity and even the housing market by seeing the extra effort being played in a game that means nothing to the Giants playoff spot while the Patriots vied for an undefeated season. Of course the Giants lost and my optimism for the housing (and humanity) market dimmed. With the housing market weakening in many markets, its easy to pile on with “grim” news. Here are a few attempts at contrarian reporting from sources other than the NAR. Daniel McGinn at Newsweek provides some optimism in his article: Housing Optimism: Why the year in real estate wasn’t all bad news. Inexperienced underwriters suffered a mental “blue screen of death” when confronted with complex tax returns, because they’re trained to process loans assembly-line style. Confused? Join the rest of humanity – you’re not alone. One of the minefields of business is to predict the future. Few are particularly good at it, but its expected, wanted and needed by those who follow a particular industry. The National Association Of Realtors, who before the recent housing boom, was the go to source for housing market forecasts before the blogosphere taught everyone to question everything. Thats a good thing. Technically things haven’t changed much. A trade group is forecasting market conditions, whose influence impact their members (otherwise they wouldn’t bother)The NAR is still issuing forecasts, changing their forecasts and they are still being reported to the public as newsworthy stories. It seems like a straight press release rather than a news story, doesn’t it? One of the things that has always bothered me about NAR forecasts is there doesn’t seem to be anything behind them, statistically speaking. A logic is presented, that when presented in the backyard bbq, makes everyone nod in approavl. Bad weather, poor consumer psyche, etc. Its simply sound bite driven. I have written about this before, but I guess it still bothers me. Its one thing to project lower sales activity because of unseasonably cold temperatures keeping buyers indoors or vice versa, but that should be extrapolated through statistics and shared. Showing temperature against demand. Something. It gets cold every winter, it gets warm every summer. If the stats are seasonally adjusted (I haven’t ever been able to find their methodology for this, can anyone provide some insight about this to me? ), it would be simple enough to show a pattern. Sorry for the whining, but I find this whole thing exhausting. Perhaps I am exagerating a bit, but I have spoken to many Realtors over the years who wish NAR would lay off a bit. In other words, speak to accuracy. I understand the need for public relations as an organization, but to have a “chief economist” or “senior economist” release warm and fuzzy straight public relations stuff is probably a disservice to their membership. UPDATE: Check this simlar whining rant on Motley Fool. Hi-tech innovator Redfin goes up against National Association of Realtors. I ask this question yet again: Who is really handling NAR’s PR? Good grief. Even Wal-Mart has done a better job digging itself out of its pr hole as of late. Competition is good for the industry, and innovation is even better. Redfin seems to be having success in their market and have ambitious plans to roll out their concept nationwide. Its getting tougher For NAR to argue for the 6 percent commission as an industry when home prices have risen a lot more than that and services haven’t changed that much. NAR continues to put itself in the hot seat with no end in sight. Redfin may have the math right, but I wonder whether the basis for the commission calculation is really apples and apples. In other words, with a non-traditional house marketing plan and some of their agents doing 8 deals a week, will the ultimate home sale be as high as that achieved through traditional channels? I sincerely doubt it. I doubt that the average sales price achieved by Redfin will be as high as the average achieved by the traditional way of marketing a home so the saving money argument seems moot…for now. The tangible market exposure for the property with Redfin is less (I know Redfin is inferring less exposure via NAR, but I don’t agree), but over time, and with continuing acceptance of new methods to sell homes, it may evolve into value parity. This new marketing concept won’t go away so traditional brokers need to take note. Its been a quite a 7-year ride for the National Association of Realtors and their Chief Economist David Lereah. That era is now over and he is resigning to take another position. I wish him well and I hope he reconsiders his modus operandi. I met him in the green room before a CNBC appearance and he seemed like a nice guy, but almost apologetic to the optimism he was pitching. He didn’t seem to buy into the message either. I saw the movie “Thank you for smoking” the other day and actually pictured Lereah in the staring role. See the movie and you’ll understand what I mean. The blogosphere had a field day with the softballs that were served up on a regular basis (ie David Lereah Watch). Yet the spin never abated. The excess spin that was generated seemed to be fully embraced by a large portion of the NAR membership but really served to further distance the trade group from the public. The blogosphere provided a challenge to the old rules of publicity that the organization was not able to adapt to. I hope the incoming chief economist has learned from this experience and will make changes in the way information is disseminated to the public. Hopefully its less self-serving. NAR has a treasure trove a great information. Recently, Fortune Magazine interviewed David Lereah, one of the more polarizing figures associated with the housing market. He is responsible for the slew of market stats that hit the media every month and but what he is most criticized for is his interpretation of those stats. In fact, I met him personally in the green room of CNBC before a television spot and while he seems like a nice enough guy, I observed that he seems to say the same things in person that he does for reporters. In many ways, his interpretations spurred the real estate blogosphere on for the shallowness of analysis and self-serving delivery of information. On one hand he represents a trade group and the consumer should understand this. On the other hand, he missed a golden opportunity to build goodwill between the consumer and the NAR. In his recent interview, he attacks David Jackson of David Lereah Watch and Bubble Meter, one of the leading housing bubble blogs. The David Lereah Watch blog is a home spun effort (note typo in the title) by someone who got tired of the misinformation. I like both of these blogs. The worst was that my mother read one of those things, and she almost started crying. And I had to say, Mom, you have to have thick skin. I’m going to be in the public and make statements about real estate, and if someone doesn’t like what I’m saying, they have every right to say something opposing me. Lereah claims the David Lereah Watch blog refers to Lereah as Satan. Lereah calls Jackson a 26-year old that could not afford a townhouse. However, Jackson was proud of the fact that he doesn’t get personal and denies calling Lereah Satan. However, Lereah doesn’t seem to use great ethical judgement in his market interpretation commentary so I am not sure what Jackson expected to begin with. His blog had to be noted by Lereah sooner or later. The fact that Lereah even brought up Jackson’s blog up in the interview to try to get sympathy for the beating he has taken by the blogosphere, tells a powerful message about the ability of the consumer to tell their side of the housing story through blogs. With all the talk about national housing rebounds lately, reality had to settle in with actual numbers. What’s interesting to me is how the takeaway from the results seem unclear. NAR is spinning it that prices have hit bottom. I don’t agree but I would guess we are within 2-3 quarters from that point. 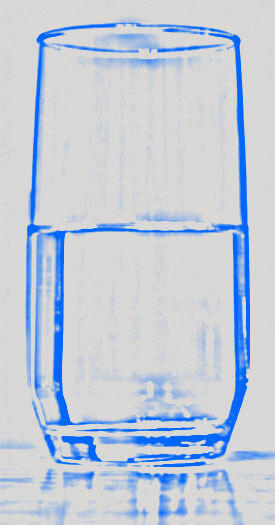 Is the glass half empty or is it half full? For much of the coverage on the NAR figures, the glass is not half empty, its simply empty. Well, I’d say its half empty. With 40 states posting losses in the 4th quarter as compared to the same period last year, it sure looks like the market is continuing to weaken nationwide. That’s logical since inventory levels, while showing signs of stability, are still way too high. Until levels are fully absorbed, I would think the NAR will keep reporting declining numbers for the next 2-3 quarters. Oversupply = more competition = weaker position by sellers to hold to their price. On the other hand, its not all gloom and doom in every market, and I think this is the sort of impression that one walks away with when reading about this topic today. CNN/Money presented a link to 149 major metro markets and guess what? The range of price changes ranged from -18% (Sarasota-Bradenton-Venice, FL) to 25.9% (Atlantic City, NJ). The big news angle here is that 71 markets went up and 73 went down, which is more than half of all metro markets. Didn’t everyone see this coming? Is this a new idea? The drop in median home prices is -2.7% for the country is somewhere in the middle of the 149 metro market price change range. The cities on the positive side seems to show solid local economies with limited speculative markets. Those cities on the negative side are from markets with weak local economies and/or speculative markets. Logical. In New York, the NAR stats for New York-Northern New Jersey-Long Island show a 2.3% increase and NY: Nassau-Suffolk showed 0.3% in median sales price over the same period (4q 2006 versus 4q 2005). The Manhattan Market Overview [pdf] we prepared in 4Q 2006 showed a 5.1% increase in median sales price and our Long Island/Queens Market Overview [pdf] showed a -1% drop in median sales price over the same period (4Q 2006 versus 4Q 2005). In other words, real estate is local. I am fairly confident the national numbers will continue to show similar weakness for the next several quarters and we are not at “housing bottom” nationally. That’s why I think the Fed Chair Bernanke’s comments about the economy actually suggest potential rate cuts and housing is one of the main reasons. he forecast calls for slightly slower growth in 2007 than the Fed predicted last summer, but still in line with officials’ estimates about the economy’s long-run potential growth rate. The lower growth estimate reflected the sharp downturn in the housing market last year, and an expectation that housing would continue to drag down overall growth in 2007. With national housing and the auto industry weak, and a lot of speculation that the latest GDP figures are inflated, there is a growing argument that we could see the fed cut interest rates in the second half of 2007. This could help prime the housing pump to get the excess inventory off the books. In fact, there a rising level discussion that interest rates will remain low for the next several years. Housing is one of the reasons. There’s a great article in last week’s issue of Businessweek. Four words that pretty much paint the picture of the war between those selling real estate and those who are renting (and either can’t afford to purchase or are uncomfortable with doing so at this time). While I had heard the phrase many times before, it was inspired by my Three Cents Worth weekly column on Curbed where there are always a few conspiracy theorists that comment on my posts. They accuse me of being in the REIC because I am in a real estate related business, although not as an agent, but as an appraiser. When someone is accused, labeled, etc. of such an affiliation (guilty as charged), its not about being open to solutions or ideas, its about taking sides. Although some of the blame clearly should be placed on the real estate industry, its not a 100% type of issue, even though it is presented as such. REIC is a cynical phrase that is used as a weapon on real estate spin, but actually serves as reverse-spin as well. As I mentioned in an early post…there are no gray rooms in the Real Estate Industrial Complex (REIC). However, I think the blogosphere has served as a powerful offset to the spin coming out of NAR. Although its funny, I think the conflict is more about an awakening that NAR is a trade group, and not a neutral reporter of market conditions. As a result, I set up a separate simple site yesterday (to play with Apple’s iWeb tool – still a little rough), to cover the REIC and will be adding content over time and linking it to Matrix. Enjoy and please send along ideas for the phrase’s use. In a widely covered story last week, a judge ruled that Jerry Seinfeld had to pay a commission for a property he purchased, trying to bypass the broker that had originally showed the property on more than one occasion to his wife. The story is pretty straight forward. The commission was earned but Seinfeld thought the fact that the broker was not available at the exact moment he wished to view the property, the $100,000+ commission wasn’t earned. Did Seinfeld think someone would walk away from a 6-digit commission? Could he be that insulated from reality by his advisors? Could there have been some bad blood between the broker and his wife after the initial visits that would motivate this illogical behavior? Was the amount of money to be saved worth the bad public relations? I wonder if he learned anything to avoid make the same mistake in future deals, and I would bet brokers dealing with him in the future will make sure their legal t’s are crossed and i’s are dotted. When I was a real estate agent in Chicago in a prior life (early 1980’s), some of the worst individuals trying to re-negotiate the commission were the real estate attorneys at the closing table, trying to “earn” their fee. Snide remarks were common, along the lines of “thats a big commission for two 30 minute showings of a property, I wish I could bill that hourly rate.” (This was a market with an average sales price of about $90,000.) There was no appreciation for the 60 other showings made without a commission before this sale, advertising and marketing costs, travel costs, and other expenses. My mentor in the realty office back then, and still a good friend, would basically assume a “take no prisoners” position. When a discount was proposed, he would tersely suggest the lawyer take the same dollar discount (which was preposterous because the dollars the lawyer was being paid was less than the discount proposed) and he would not be afraid to stand fast and kill the deal altogether if the commission was to be re-negotiated – our firm was big on that and it usually worked, even though the market was very weak at the time. Hopefully things are generally better at the closing table in Chicago these days. The generally weak public relations efforts of NAR has resulted in an unfair stereotype of the typical broker as not earning their commission. Of course there are some agents that deserve this criticsm like in any other profession, but not everyone does. Its sounds like Jerry was under the same impression as the stereotype. Given the generally low pay of the average real estate agent [Slate], despite all the media stories about high powered agents, makes this criticism pretty simplistic (not that there’s anything wrong with that).